While December 2018 started out cold across Star Valley, the last several days have seen a moderation in the temperatures. This can be noted on the temperatures recorded at the Double L weather station since Dec 1 2018. Beginning on December 17th temperatures warmed, with about a 24 hour period on the 18/19th when it remained near or above freezing. 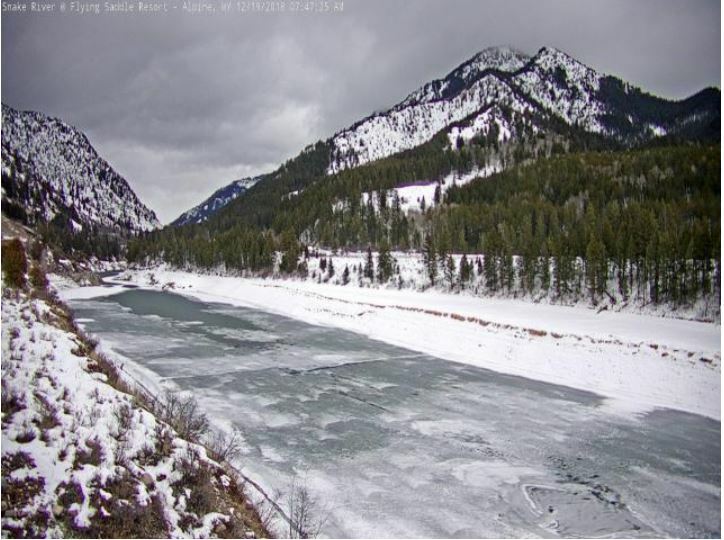 The web cam located near Alpine with a view of the Snake River was able to capture the breakup of what had been nearly solid ice cover during the day of the 19th. 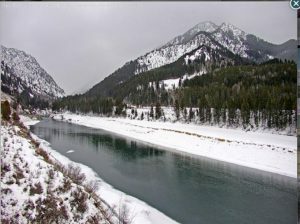 As of today(December 22nd) this portion of the Snake River is nearly ice free.